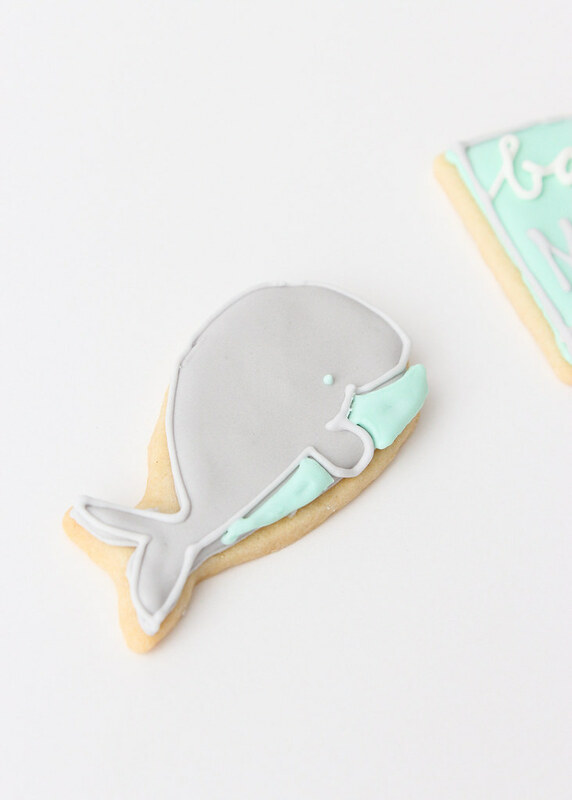 Whale Baby Shower Cake & Cookies for Jenn! 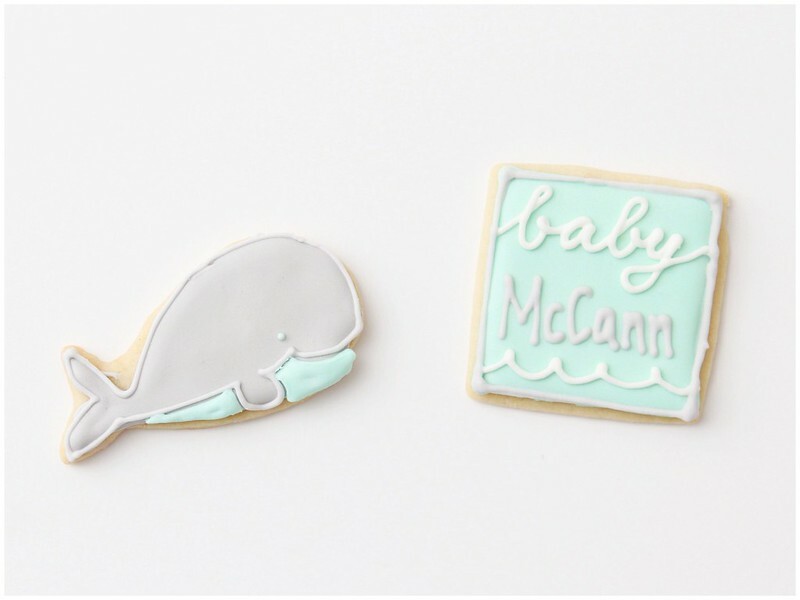 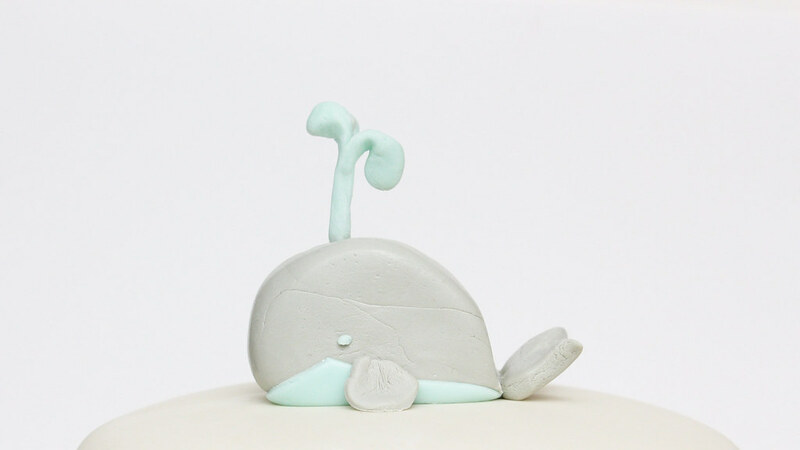 I made these whale cookies and little cake for my one of my besties from Manhasset, Jenn, for her baby shower while I was in New York. 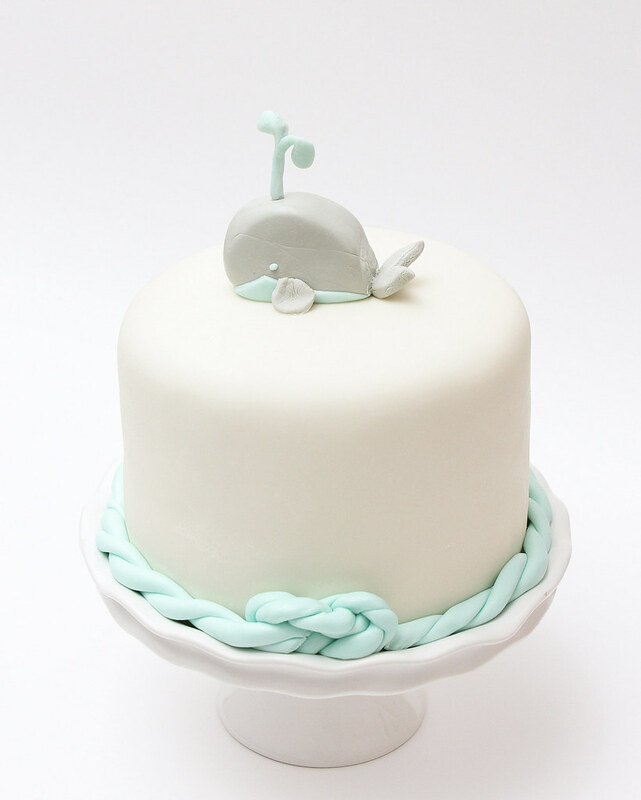 The baby shower was hosted by our friend Becky. 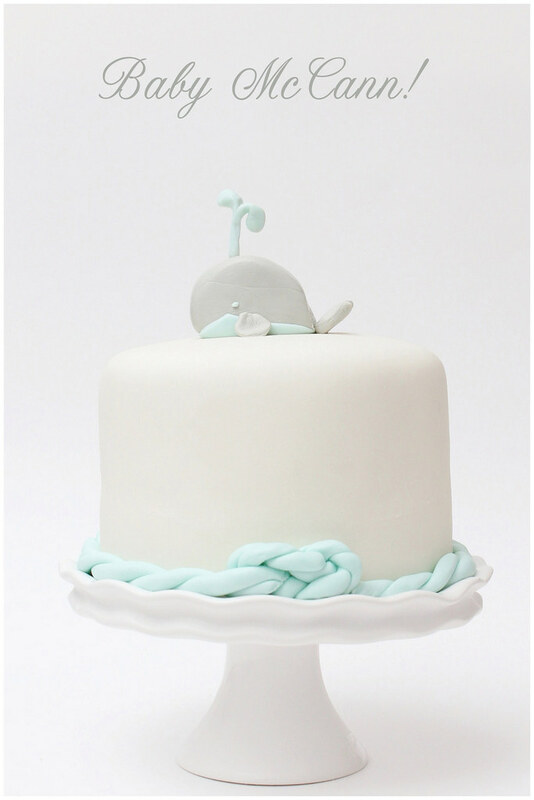 It was a lovely little backyard baby shower with yummy food and lots of bubbly. 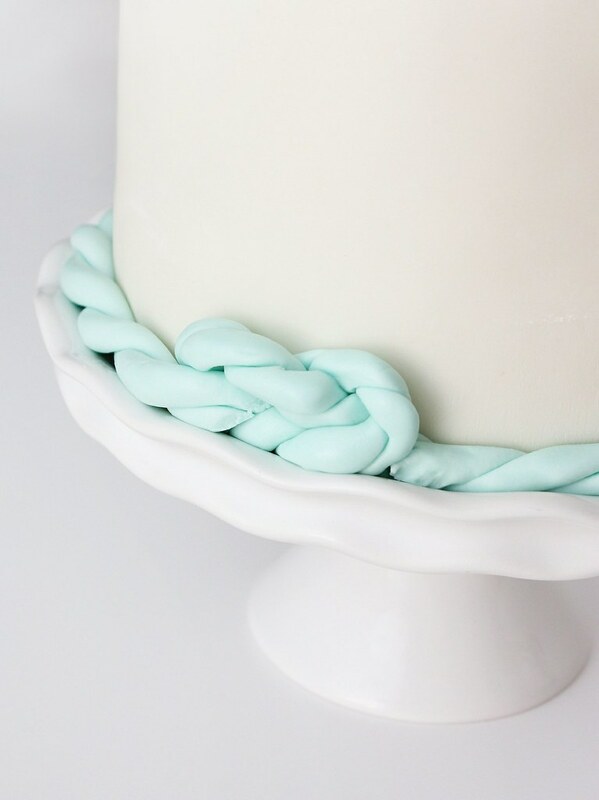 There was no particular "theme" but I worked with Jenn's nursery colors -- aqua and light grey from her registry. 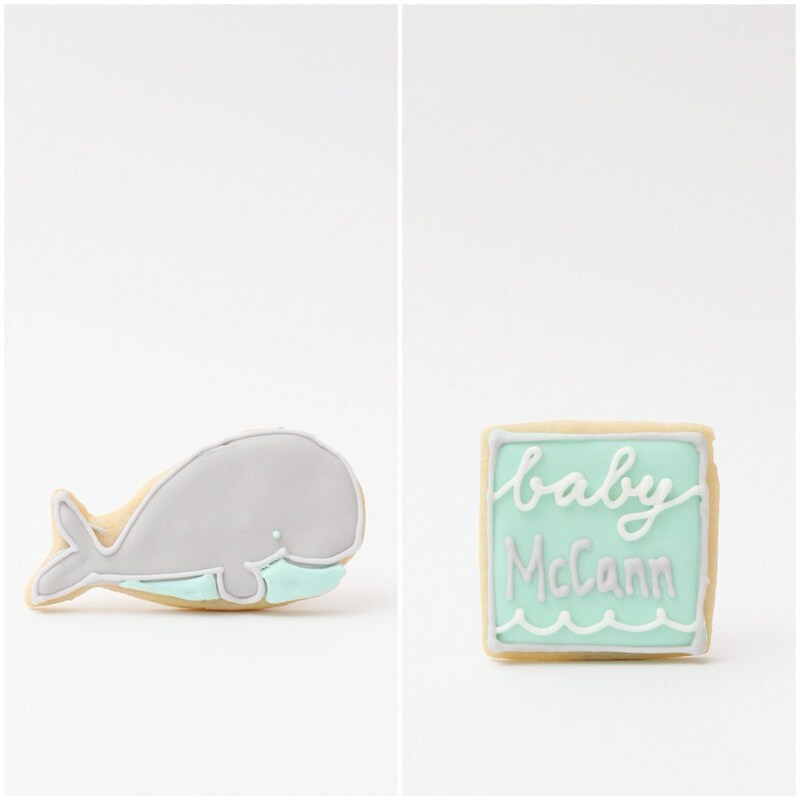 Personalize with family's last name or baby's "nickname"